Update your Account Number via myTNB app and stand a chance to win RM50 LAZADA e-Voucher. 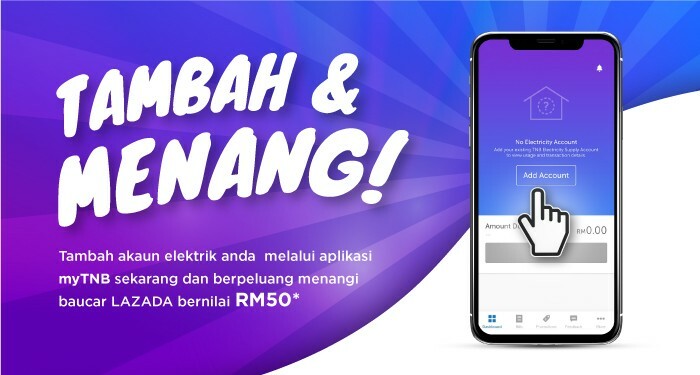 RM50 LAZADA e-voucher to first 200 customers. Customers will be notified through SMS and email during the campaign period. Update your account number via myTNB app and you will be amongst the pool of eligible winners. Just update your account number via myTNB app during the campaign period.